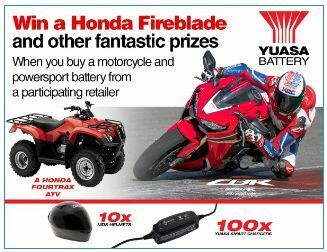 The following promotion applies when purchasing any Yuasa motorcycle battery from Hardwarexpress.co.uk during the promotion period which ends 24th October 2019. 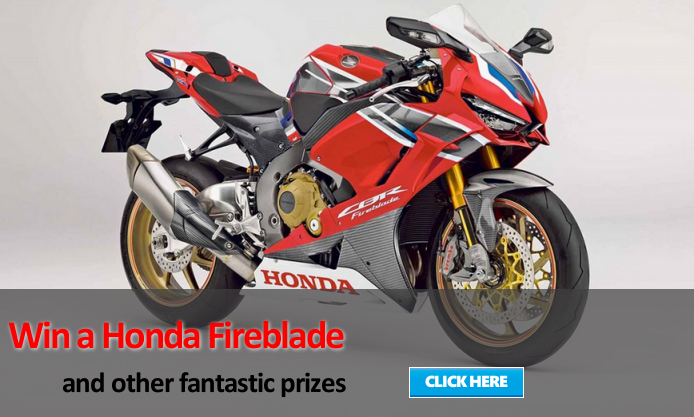 A scratchcard will be provided with each sale of Yuasa motorcycle battery (One scratchcard per transaction) during the promotional period. Customers must then visit www.yuasa.co.uk/winabike and enter the promotional code found on the scratchcard.